The Mawson Lakes Hotel is one of Adelaides newest function centres, and has state of the art facilities and a versatile set up offering 4 separate function rooms that can each be opened up to ensure the correct size function room for any group up to 330 guests. They offer complete event management with 2 dedicated function managers on hand to provide advice and assist with making your event run smoothly. The venue is perfect for conferences with all the facilities available on-site, including data projector and screen, microphone, USB plug in options, whiteboards, lecterns and more. For Adelaide wedding receptions, all the finer points are taken care of, from chair covers to centrepieces, right through to the colour coordination of the room. There is even quality accommodation available for guests. For large wedding receptions and functions, all function areas can be opened up and combined to accommodate 250 guests seated. 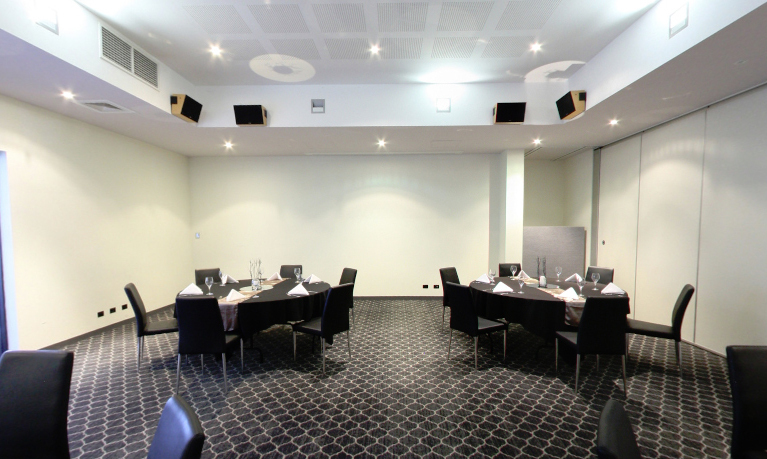 The Varsity Room is the smallest of the 3 main function rooms at Mawson Lakes Hotel, and offers a quality function room with the best facilities available anywhere.